Abstract: 450mm laser saw blade is ideal diamond cutting blade which special for marble cutting, effective and professional. a. 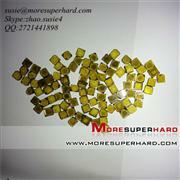 Special for cutting all kinds of marbles(natural or artificial type). b. 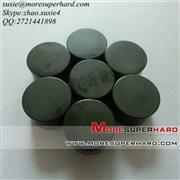 High quality diamond and materials ensure high sharpness and long cutting life. c. 100% laser welding strength of segment tested one by one via torque wrench. d. Smooth and fast cutting, no chipping. e. Suit to dry cutting. f. Good balance assures safety and excellent cutting effect. g. Different quality grades for selection. h. Any specification as your request. 2) We have around fourteen years producing experience. 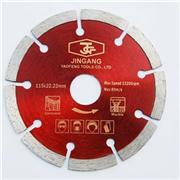 3) Our main product: laser welded saw blade, sintered saw blade, diamond segments, diamond polishing and grinding products, cup wheel, core bits and electroplated diamond products etc. 4) Above 95% customers will be place a formal order after testing the samples. 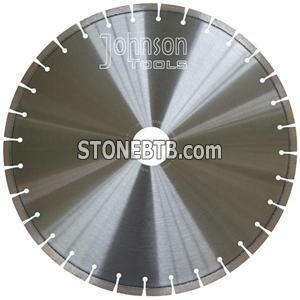 Company Name :Johnson Tools Manufactory Co., Ltd.